Pauline Hodencq’s exhibit centers on corn in Aztec culture not only as source of calories but also as the foundation of the most revealing religious metaphors. 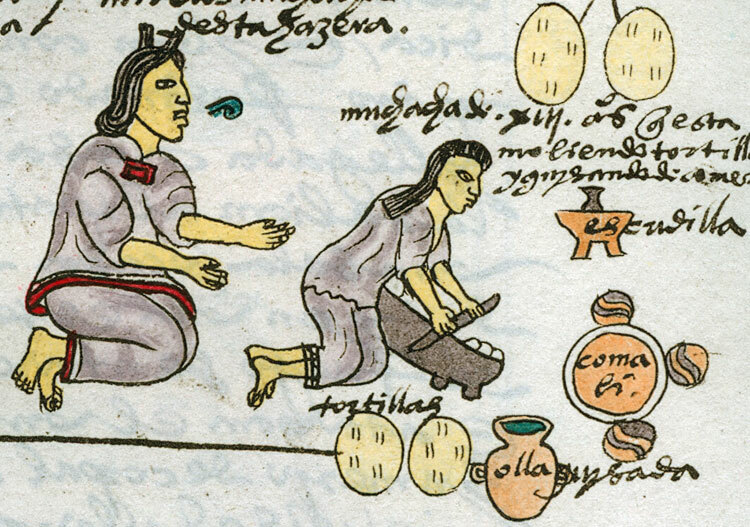 For the Aztecs milpa corn dominated the agricultural cycle; it was even the source of children’s toys. More important, corn organized Aztec ways of relating to deities and understanding the body. Gods were corn growers and bodies were maize. Gods consumed bodies in the same way humans consumed corn.